The workplace has changed and evolved over the years, and with those changes and evolutions comes the need for new concepts and theories of management. As you begin to prepare for the new year, we hope you’ll take a moment to consider ways that your workplace might shift in 2019 and how you can adapt your management style to meet the new needs. Take, for example, the SPD: Over the years the practice of manual documentation and tracking has slowly turned obsolete and in its place arrived automation. The way managers ran their SPD teams during the manual days is different from how they now run their teams with automation in place. Changes like these will continue to take place in SPDs, forcing managers to continually ask themselves, “How do I motivate my people to learn and utilize these new tools to bring out their best performance every single day?” And when the stakes are as high as they are in the SPD, the need for managers to motivate their technicians toward accurate and timely workload completion is immense. So, is your management style yielding success for your team? If you’ve ever questioned how to best manage (or how others can manage) your team or simply want to learn a new perspective on management, this is for you. By taking a look at the evolution of management principles and theories, particularly the humanistic perspective on management, you can learn how to better serve your employees and, in turn, the organization. Let’s start by taking a look at the humanistic perspective. What is the Humanistic Perspective? By utilizing these three tactics of the humanistic perspective on management, managers can encourage greater efficiency from their team. That’s what’s so exciting about this perspective; it holds the power to boost team performance in the SPD, creating more unified and accurate efforts that keep patient safety always top of mind. In the context of the human resources perspective, Maslow linked task motivation to unmet needs; if an employee has unmet needs, he/she will not be able to achieve. That means when you notice a lack of productivity in your workplace, there could be a deeper issue beyond the assumed laziness or negligence—your employees may have unmet needs. When you are able to identify those needs and help to meet them, you can motivate your employees to increased performance. Furthermore, when lower-level needs like physiological and safety needs are met, only then can workers successfully move up the hierarchy and eventually self-actualize, giving you the most equipped and motivated worker possible. One of the most important and positive aspects of the humanistic perspective is its emphasis on empowerment. K. Blanchard says in Leading at a Higher Level that “empowerment is the process of unleashing the power in people (their knowledge, experience, and motivation) and focusing that power to achieve positive outcomes for the organization.” The humanistic perspective is all about empowering employees rather than controlling them. For example, in SPDs that we’ve worked in where managers embody the positive aspects of empowerment, we witnessed staff that felt comfortable to ask questions without fear of being ostracized or belittled because of their inquiry. When a strong foundation of trust is established in a team, managers create an environment where every single team member is equipped to do their work, as well as feel the freedom to speak up at any time. In order to build this environment of freedom and mutual trust into your own team, you truly have to trust your staff’s ability to perform the tasks at hand without micro-managing them. As a result, when your staff is empowered, they will also trust that you, as their manager, have their best interest at heart. 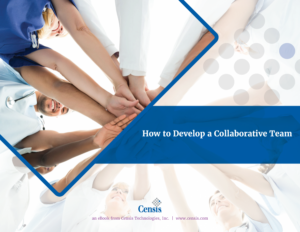 This mutually beneficial relationship creates a smooth workplace where both staff and managers have everything they need to perform the tasks at hand. The humanistic perspective on management isn’t just a nice theory; it is a practice that has the potential to completely revolutionize your SPD team and create positive results for the entire organization. When it’s utilized properly, managers can get more out of their teams and employees leave work feeling fulfilled—both benefits working together to create long-term effectiveness. As the workplace continues to evolve, you will have to adapt your leadership and management style to fulfill the complex needs of your team and the overall organization. If you don’t, you risk the effectiveness of your team, and without a strong team in the SPD, patient safety suffers. So, how will you lead your team in 2019? Will you consider adopting some of the methodologies of the humanistic perspective? Are you maintaining your competency?